Working out how to attract pilots of the calibre you’re looking for can be tricky at the best of times. 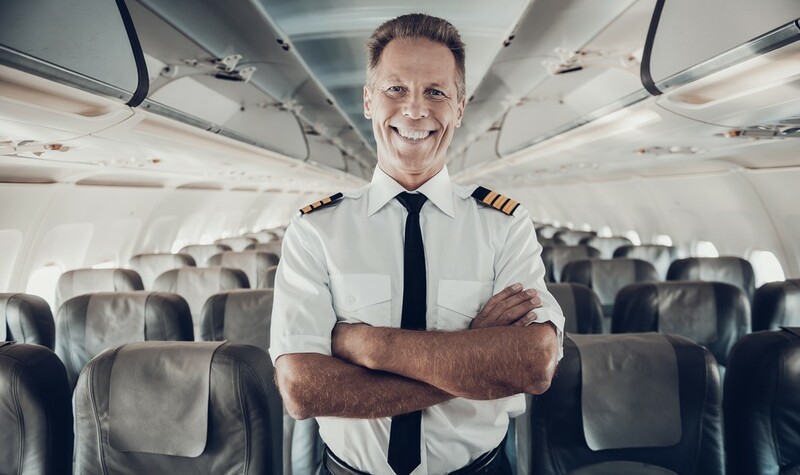 In addition, pilots hold many of the cards in today’s candidate-led market, so you’ll need to up your aviation recruitment game to land the staff you need. How high is demand for commercial pilots today? In July, Boeing published new research indicating that 637,000 new commercial pilots would be needed by 2036 to meet industry requirements. This estimate was recently echoed by Captain Tilmann Gabriel, Director of the City, University of London’s MSc in Air Transport Management programme. At present, the industry employs 500,000 pilots around the world (City, University of London). This means the total number of pilots will need to more than double over the coming decades. However, the number of prospective pilots with the skills needed to fill these roles today is well below required levels. Looking for deeper insights? Download our comprehensive white paper: ‘Grounded Before Take-off: How Airlines Can Combat the Pilot Shortage‘. The new generation of aviation employees has a distinctly different set of motivations to its predecessors. Work/life balance is the key factor most often cited by Millennials and other young professionals. Think about how you can adapt your processes to promote a healthy work/life balance. Build flexibility into your scheduling where possible, and try to offer useful facilities or benefits (such as convenient located gyms or childcare). Then, ensure you promote your commitment to work/life balance across all your employment-related platforms. The opportunity for progression is another motivating factor for prospective pilots. With this in mind, you need to make sure applicants view your role as a long-term development opportunity, rather than a stop-gap job. Clearly set out how pilots can move from training to working for your airline. Outline where they can expect to be in five years’ time and the path you’ll have in place to get them there. If they’re a first-officer, tell them how they’ll make it into that seat to their left. And, make sure you communicate any opportunities for promotion, improved remuneration and participation in specialist training programmes. Prospective pilots today are more tech-savvy than their forebears, and expect their employers to be too. You need to show your airline to be an innovative, forward-thinking employer that has all the tools needed to remain competitive going forward. Diversity is still somewhat lacking in the world of commercial pilots. Implement initiatives to diversify the pool of pilots you consider, ensuring all genders, races and sexual orientations receive equal representation where possible. A recent, inspiring example of this type of initiative is EasyJet’s ‘Amy Johnson Flying Initiative’. Partnering with a specialist aviation recruiter like AeroProfessional helps you on-board all this knowledge, without investing in extensive research or planning. Your airline will also benefit from the scalable recruitment resources you need to maintain a healthy supply of skilled pilots. Gain access to a consistent supply of motivated and qualified pilots by calling on the aviation recruitment experts at AeroProfessional.